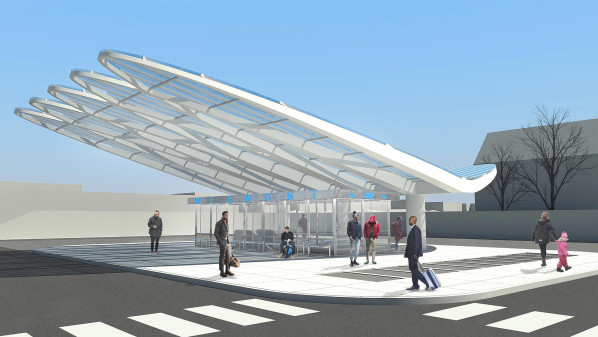 Chicago has issued a $4 million construction permit for a street level canopy at the CTA Blue Line subway station at 3555 W Belmont Ave. The canopy will cover the subway entrance and bus passenger waiting area, including six 48″ diameter caissons socketed into bedrock. 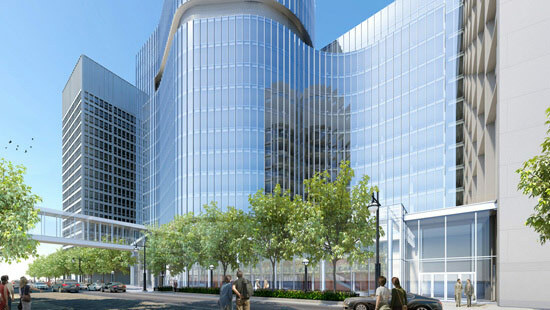 Chicago Cityscape reports the architect as Jefrey D. Jakalski and Walsh Construction Company as the general contract. Walsh is also self-contracting the masonry work. Hartwig Plumbing and Heating, Inc. is listed as the plumbing contractor.